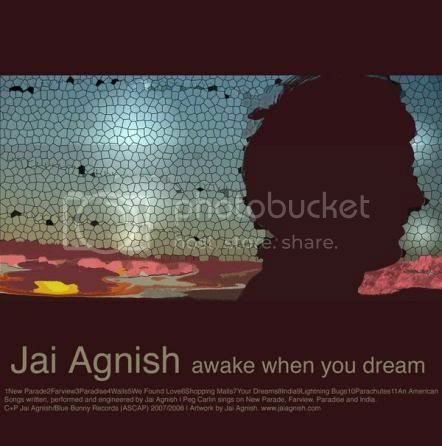 File Under "Free of Charge"
On Closer Review: I’ve been listening to Jai Agnish’s new album, Awake when you Dream, on my ipod as I travel around the city. It has been a fun trip. It’s cold out there right now, and my brow hardens as he tries to win me over. 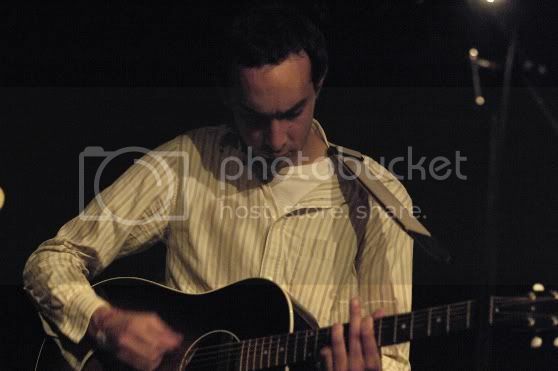 Agnish's greatest allies on the record (a collection of simple, yet heartfelt melodies) are the acoustic guitar and the artist's Roland keyboard. These serve him well as the finished product at times can sound like the great Silver Jews. There are times that Agnish's explorations take on a life of their own. These travels (often on the Roland) were like a curious child; a bit tentative at first but determined in its path. The lyrics for the songs from Awake When You Dream are as much about restraint as they are the subject of the song. It's an interesting style. On An American, Agnish uses simple language and emotive energy to convey the use of simplified but emotive imagery; "Her Face is like the Sun," and later in We Found Love; his lines become even more telling and clear, "I found a new friend / We found Love." At first, these lyrics made me wondering how deep Agnish’s writing ability could be... But in listening, I soon find that the songs wrap the listener up in an innocence that warms me as I listen, walking the winter streets of Boston. I will admit that there are few instances on the record I find myself distanced by some of Agnish's lyrics. In India, for instance, Agnish produces: “I told our tour guide/ this journey’s been sanitized.” That gave me pause, but I decide not to hold this against the album as a whole. Agnish wins me over again when he addresses the object of his desires: "Quick hop into the shower/ Don’t use all the hot water/ Sing the song of your heart.” On this one he is giving us something sweet and lush to savor. And who, really, could second guess a gift like that? Recommended Listening.